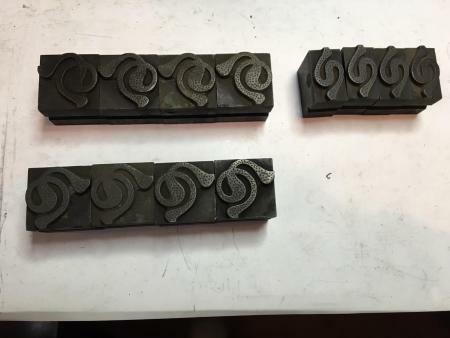 Does anyone recognize these ornaments? I just ran across these today. I believe they are 72pt if I remember correctly. The are stamped HC Hanson but we do not have that catalog. Just curious to find out if it was all sold as a set or if the larger pieces were sold separately. Thanks for any answers or tips that you can provide. These are part of Hansen’s Sylph Border series. Sylph Border is solid, Sylph Outline Border is as indicated and what you have is Sylph Stippled Border. There are nine different pieces in each set. The ones you do not show are on much smaller bodies. You have been super helpful!